The whole point of car seats is to keep your kids safe. Car seat safety ratings can help you find the seats that will do the best possible job of protecting your children in a crash or during a sudden stop. Safety standards and testing procedures do vary from one organization to the next. But there are several groups we trust to provide comprehensive and highly relevant car seat ratings. ﻿NH﻿T﻿SA.﻿ The National Highway Traffic Safety Administration's ease-of-use ratings actually include safety ratings, too. On the ratings page for any type of car seat, just look in the Securing the Child column to find out how well any model keeps kids in one place. While these ratings don't speak to the structural integrity of the car seats, they do cover one important element of car seat safety. And as this page notes: "All car seats rated by NHTSA meet Federal Safety Standards & strict crash performance standards." Consumer Reports. Yes, yes... we realize there was a flap in 2007 about Consumer Reports yanking its car seat ratings from the public because of concerns about the validity of its testing. Here's the positive spin: CR could have denied everything, lied to the public, and left their ratings as-is, but they came clean. The way we look at it, they're one of the few independent organizations that actually performs crash tests on car seats. Their input, whatever shortcomings it may have, is valuable. To read the Consumer Reports car seat safety ratings online, you'll need to pay for a web subscription. You can buy one month at a time, or pay for a whole year and save a lot. Once you're into the paid section of the site, you'll be able to see crash protection ratings for dozens of car seats. You'll also learn how CR's staff rated each model in terms of forward-facing and rear-facing fit-to-vehicle - both important considerations in overall safety. 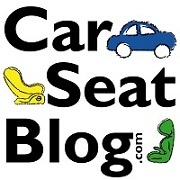 CarseatBlog.com. This well-written site doesn't provide car seat safety ratings, per se. But it does offer many detailed reviews that include specific safety features in their assessments. We're big fans of using car seat ratings to guide you in your decision. But keep a few principles in mind. First of all, any car seat is going to be safer than no car seat for your baby or toddler. So, if you're overwhelmed by the fact that many of the safest car seats are also the most expensive, relax. There's a way you can keep your little one safe without breaking the bank. Buy the best car seat you can afford. Read the installation instructions carefully (virtually nobody actually does this). And then stop for a free car seat inspection performed by local car seat technicians. These volunteers will make sure your seat is facing the right direction for your child's height, weight, and age; is installed as securely as possible; and is in good working order (always a concern with older seats or seats that were purchased used). You're a good, caring parent. Thank you for going the extra mile to make sure your little one can travel safely.